Albert is my pick for the new British prince’s name. It’s been worn by a world-famous royal, a popular song, and a genius before, so any child with this name would be in good company. Could our Baby Name of the Day be about to make headlines? One hundred years ago, this name was a standard go-to for boys born in the US. It ranked in the Top 20 into the 1920s, and remained in the Top 100 right through 1961. That means your average bearer of the name is likely to be all grown-up right about now. In fact, Uncle Albert sounds exactly right. It’s the fun-loving uncle in Mary Poppins, who hosted a mid-air tea party fueled by laughter. And Paul McCartney scored a #1 hit with a song by the name in 1971 – and yes, Paul had a real-life uncle by the name. The means appeals, too. It comes from the Germanic Adalbert – noble and bright. 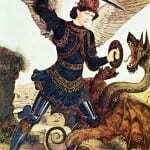 When it came to England, it met up with the similar Aethelbert, which has Anglo-Saxon roots. Three saints answered to the name before the year 1000. Then came a string of Austrian Dukes and two German kings. Add in a Swedish monarch, a handful of distinguished bishops, margraves, princes, and such, plus historian Albert of Aachen, who chronicled the First Crusade, and it’s a name rich with achievement. European royalty used the name for generations, but it’s rare in English circles until the future Queen Victoria married Prince Albert of Saxe-Coburg and Gotha. It’s a fascinating tale – an 18 year old queen, cousins who ended up a love match, an unpopular foreign prince who won the respect of his adopted country, a long mourning following his death. It appears as a given name or in the middle spot for plenty of their descendants, including Prince Harry. Queen Elizabeth II’s father reigned as King George VI. But he was born Albert Frederick Arthur George, and known to his family as Bertie. All of this makes it feel very British, indeed. Einstein, who escaped Nazi Germany and discovered the theory of relativity. French author and philosopher Camus won the 1957 Nobel Prize for Literature. Legendary blues musicians Collins and King. Plenty of athletes, like St. Louis Cardinals first baseman Pujols. Politicians, like Al Gore – it’s his given name, plus his dad’s name and his son’s name. It’s a frequent place name, and has some fun uses, too. It’s the name of one of the University of Florida’s alligator mascots, a short-lived British automobile company, and a brand of tobacco that inspired the joke about letting Prince Albert out of the can. And children of the 1970s remember the animated Fat Albert and the adopted son of the Ingalls family on Little House on the Prairie. The character didn’t appear in the original books; he was invented for the series. The British do like a good nickname name, with Charlie, Alfie, Freddie, and Archie all near the top of their charts. 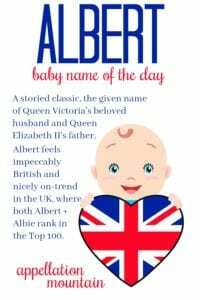 Possible nickname Albie is rising through the English Top 100, as is Albert in full. Bertie is less popular in the UK right now, but that could certainly change. In the US, this name is far more obscure. It’s slipped most years since the turn of the twentieth century, almost leaving the Top 500 – but not quite. Could a new prince spark revived interested in the name? Almost certainly. If you’re after a rock solid classic that’s relatively underused, Albert might be the name for you – unless, that is, a new royal baby prompts the name to rise through the ranks overnight. What do you think – will a new prince by this name mean a big surge in use? Originally published on February 17, 2011 at the suggestion of Jenna, this post was substantially revised and re-posted on Thursday, April 26, 2018. The big problem I have with this choice is that ‘Prince Albert’ is a euphemism for a type of genital piercing! I love Albert. I see it as an underused Victorian classic. I used to think it was so handsome… That is until my cousin brought home her balding, creepy, forty-something year old boyfriend named Albert. Now instead of a Victorian hero, I see him. Le sigh. Albert has been ruined. I really like Albert and the nickname Alby. Little House on the Prairie’s Albert slightly cools my adore, but Colin Firth’s portrayal of George VI trumps an annoying child actor. I love this name, but I don’t think my husband would go for it if we had a boy. I knew a boy in middle school named Albert and he was one of the nicest, most gentlemanly boys/guys I’ve ever met in my life. Seriously, a gentleman at 12 years old! Now that is a rare find! Al Gore is another Albert, even though he’s known as Al. His son is Albert Gore III. This one doesn’t make my list at all. Thanks, Joy – that’s one I should not have overlooked! As someone who tends to be a sucker for male “Al” names, I do confess that I am rather fond of Albert. At one point I suggested to Mark that we name a potential son Edmund Albert, after the city and province we both hail from (but no longer live in). I was in jest, but I actually wouldn’t be opposed to using Albert somewhere in a child’s name. However, Mark’s not a fan, so it’s not really an option. I’m surprised that I find myself liking Albert. I think it’s time for Albert and Rupert to steal a little of Robert’s limelight. I also really love the nickname Albie. I’m not keen on Al because that sounds a little too middle aged man to my ears, but Albie is great! Still not totally sold on Albert, but I’ve been liking Alberta lately. Albert is THE family name on my mom’s side of the family. Every family has an Albert. But in the last couple of generations it’s moved to the middle spot. So I’ve always wanted to have an Albert of my own. I wanted it in the first name spot as a teenager, but lately not so much. Of course, that will depend at least in part on my future last name and husband’s preferences. Also, back in September you said you were researching Darwin for a name of the day post, but I haven’t seen it. Did you decide not to do it for some reason? A few years ago, I interviewed Strokes guitarist Albert Hammond, Jr. (namesake of his father, songwriter Albert Hammond, Sr) for a magazine article. I met his manager, and she didn’t call him by a nickname, either. He was just Albert. He was a nice guy and a great interview (also cute), and from then on, Albert has screamed “rock star” to me. I would use it in a heartbeat. As is often the case with underused classic names, the Spanish form of this name is more popular than the English form: Alberto is ranking 368 compared to Albert at 404. My grandson Nicholas has Alberto as his middle name — the same mn as his South American grandfather Cesar Alberto. There’s Albin, too – would that work any better or just be forever misunderstood as Alvin? Hmm, I like Albin! But I do see it having the same problem as Eben… “Evan? No, Eben. With a B” I could see it with Albin/Alvin. But Albert’s just lovely. His nicknames (for the most part) are fabulous, a long history but not stuffy. Albert gets a double, exuberant, :thumbsup: from me! Love Albert! Why does Robert get all of the love? 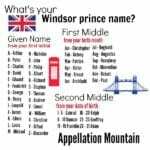 It’s not my favourite (I think “Prince Albert in a can” and “Fat Albert” when I hear it), but I could see it becoming popular with parents who want an “old-fashioned” name that isn’t too popular. And the nickname Albie/Alby is adorable. I really like Adalbert- I think we should have an Old English/Germanic/Scandinavian name revival! lol.